Developer of the Android mobile operating system, the Open Handset Alliance (OHA), has released the source code for version 2.0 of the platform, until now only seen on the Motorola Droid. 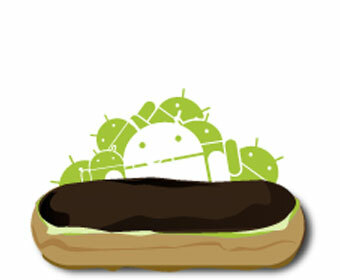 Android 2.0, otherwise known as ‘Éclair’, includes new features such as support for multiple accounts, quick access to contact information, support for Exchange, search functionality for SMS, flash support for the camera, digital zoom, support for a virtual keyboard, with an improved keyboard layout, support for double tap zoom and a refreshed interface for the web browser along with support for HTML5 . Interestingly, within a few hours of the source code being released, the Android hacker community had got version 2.0 up and running on the oldest Android device available – the G1 – despite the fact it would be unable to handle the latest incarnation of the platform. I love my Droid! I am now just waiting for Adobe to release the flash player.